Printable coupon from Save.ca. 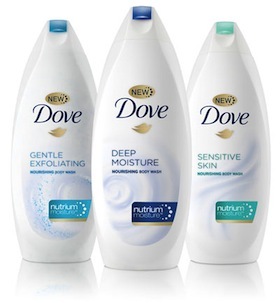 Save $1.00 at Shoppers Drugmart when you purchase any Dove body wash. This coupon is only valid in Canada at Shoppers Drugmart locations. You can print this coupon at home. Just why is Dove® body wash proven to give your skin our BEST CARE? It contains NutriumMoisture®, Dove’s rich blend of nutrients naturally found in your skin, which effectively nourishes deep down.